At the FNR Awards Ceremony 2018 held on Friday 19 October 2018 in Belval, Luxembourg, the Luxembourg Institute of Science and Technology (LIST) won one of the awards attributed each year by the Luxembourg National Research Fund (FNR) so to encourage outstanding achievements in R&D and to promote science-related activities aimed at the general public and the young. Dr Tom Wirtz, Rachid Barrahma, Dr Jean-Nicolas Audinot and Olivier Bouton, from the Advanced Instrumentation for Ion Nano-Analytics (AINA) group that is part of LIST’s Materials Research and Technology Department and Dr David Dowsett, now manager at Luxembourg Ion Optical Nano-Systems sàrl (LION Nano-Systems) and a researcher at LIST till early 2018, were awarded one of the two ‘Outstanding Research-Driven Innovation Award’ as a research team. 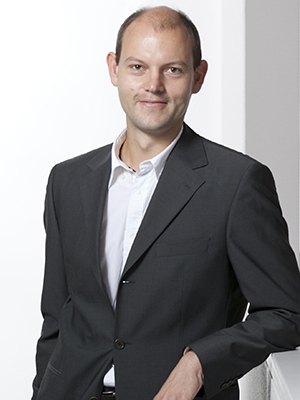 Marc Hansen, Luxembourg’s Minister Delegate for Higher Education and Research and Marc Schiltz, Secretary General of the FNR, presented them the prestigious award. 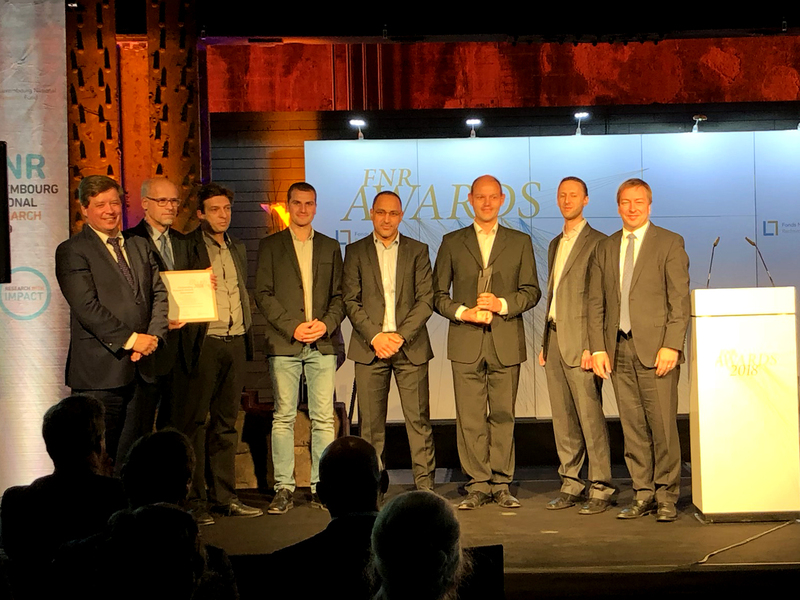 By this award, FNR rewards the innovation they carried out altogether over a period of seven years in LIST laboratories in Belvaux Luxembourg: the VECTOR500 SIMS. This unique tool for high-resolution high- sensitivity correlative microscopy is the best performing tool on the market for research and development applications in fields as diverse as nanoparticle detection and identification, photovoltaics, semi-conductors, Li-ion batteries, steel, cosmetics and medicine. Already used by a number of R&D labs in industry and academia all over the world, VECTOR500 SIMS is marketed since August 2017 by LION Nano-Systems, the latest LIST spin-off company. Below the innovation itself, the award is a real recognition of the multidisciplinary R&D effort performed by the applicants, and so the winners, during seven years. Such an innovation is the result of the combination of fundamental research on particle matter interactions, instrument development and application development. >> For further information about the VECTOR500 SIMS technology, (re)discover the news entitled « New LIST spin-off unlocks the secrets of the infinitely small » published on 02/03/2018.